With the Six Nations just days away, Finn Russell is set to play a crucial role for Scotland as they look to challenge for the title. Back in November, the Glasgow Warriors fly-half spoke to Brig’s Sports Editor Craig Wright about his career so far. 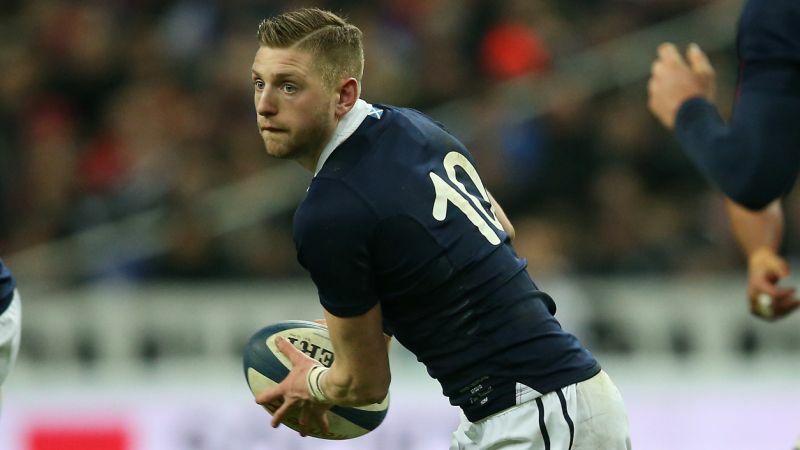 Finn Russell has not taken the traditional route to the top of the rugby world. The 23 year-old, born in Bridge of Allan, began his rugby career in the age groups of Stirling County. However, with a lack of opportunities coming his way, the former Wallace High School pupil decided to try his hand at stonemasonry, seemingly turning his back on his dream of professional rugby. However, a change of club and a couple of lucky breaks saw him rocket into the wider consciousness of the rugby world, and today he is considered one of the top fly-halves in world rugby. Brig’s Sports Editor Craig Wright caught up with the Glasgow Warriors man to discuss his rapid rise to fame. I thought it was a brilliant experience. I never knew what to expect to be honest, going into the World Cup, but it was good having it so close to home so my family could come down. You got all that side of it, but at the same time you’re far enough away that you’re in camp for the tournament, I thought the entire experience was great. We got down to Gloucester (venue for Scotland’s opening match) the week before the game, so after watching all the games it felt like it as dragging on a bit. You know, you’re raring to go whilst other teams are out there playing. I think everyone just got on with it – we knew we had to wait, which was a bit frustrating because you just wanted to get into it, but it wasn’t too bad. The golf course at the hotel was pretty good! I was obviously gutted about the decision (Scotland were wrongly penalised for offside, allowing Australia to kick the winning points), and the way we were put out was frustrating. However, the way I look back on it is that if he (referee Craig Joubert) makes that decision 20 minutes earlier, no-one would’ve said anything about it. It was just that it happened at that stage in the game, affecting the outcome. You can’t blame the ref for the rest of the game, though. These things happen in sport, so I’ve been able to move on quite quickly. It’s been good to get back to Glasgow and move on with things quickly. Looking forward to the Six Nations, I think we’ve got England first up, so we can kick on from the World Cup into that game. When you’re younger, you always want to play professional rugby. However, I broke my wrist playing at under-18s, then never got called up for the under-20s. I was playing for Stirling County 2nds and trying to get a game for the 1sts, but didn’t manage it. I moved to Falkirk to give it one last chance and see what happened, but I mainly just went there to enjoy my rugby. It just took the right person watching the right game, so I guess I was lucky the way it worked out. It was really only after under-18s that I really thought about professional rugby as a career – I was just thinking ‘I’ll be a stonemason, and that’ll be me’. Back in the summer – when it was sunny! – I was on the pitch thinking how lucky I was. It’s hard to believe that this is my job. I kick a ball bout for a couple of hours and that’s me, as opposed to slogging away on the yard all day. I’m just grateful for the opportunities I’ve had, and the luck I’ve experienced. I see my mates and my brother at university, and I’m just thankful for the opportunity I have to play professionally. I think for me, being relaxed is kind of who I am. I’ll talk to my family before every game, no matter who I’m playing for. If it’s a home game for Glasgow, I’ll try and see them for a coffee before the game. If it’s away, they’ll often follow us to wherever we’re playing. I haven’t changed that routine since under-18s, so in terms of staying relaxed, I just treat each game as just another game of rugby. I think I’m just naturally chilled out. Sometimes it works, other times it’s not the best, but I think everyone just has their own ways to react to pressure. As it is every season, my main goal is to keep my place in the team. It’s not easy to get a game here, so I need to fight to keep my shirt every weekend. Obviously, we had the high of winning the league last year and we want to back that up, but one of the big things at the club is that we’ve never done that well in Europe, so we want to fix that. The way the squad’s developing, both of those goals are definitely achievable. With guys like myself and Jonny Gray having signed new contracts, and a few more young boys in the team, it’ll definitely help the club get to the level we want to get to. This interview first appeared in the November issue of Brig.